I am a gardener with a paint brush whose loveliest flowers bloom on canvas. 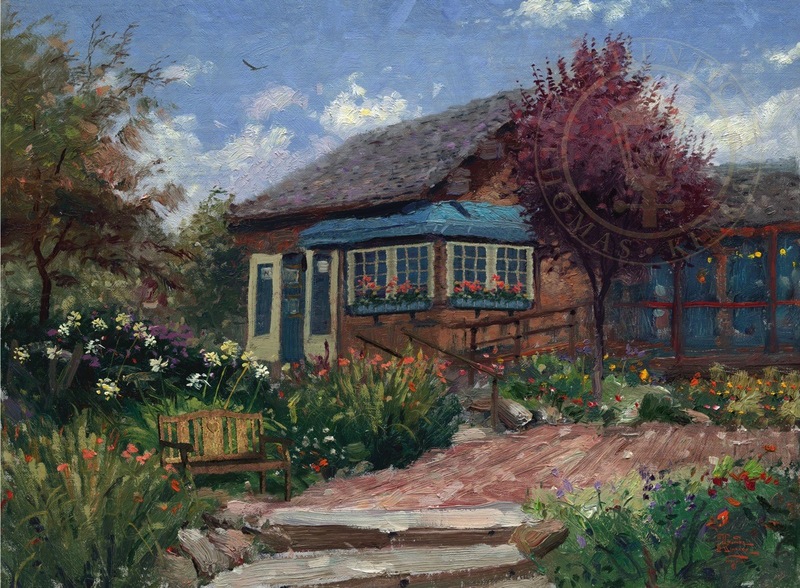 Gardener's Retreat is a rustic cottage enveloped by summer abundance. I felt energized as I painted; there is a zest, a joyful freedom in the brushstrokes that captivates me. There is a connection between artist and nature that is just so exciting.